EPA 30 MPG Hwy/21 MPG City! CARFAX 1-Owner, Audi Certified. Premium trim, Ibis White exterior and Black interior. Moonroof, Heated Leather Seats, All Wheel Drive, Rear Air, HEATED FRONT SEATS, Aluminum Wheels, Turbo Charged Engine. SEE MORE! 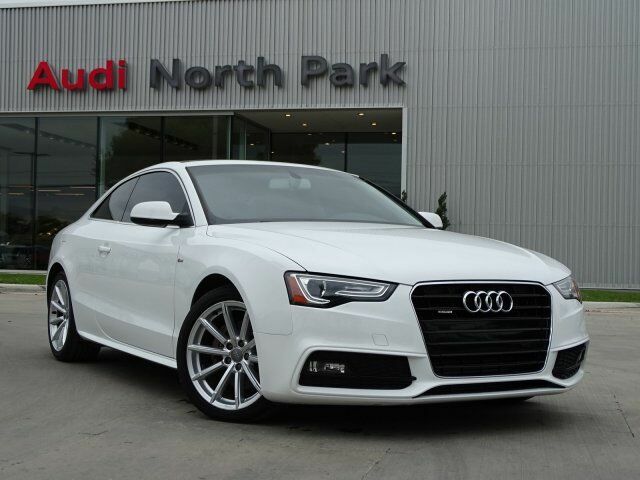 Leather Seats, Rear Air, Turbocharged Audi Premium with Ibis White exterior and Black interior features a 4 Cylinder Engine with 220 HP at 4450 RPM*. HEATED FRONT SEATS. MP3 Player, Sunroof, All Wheel Drive, Aluminum Wheels, Keyless Entry, Steering Wheel Controls, Electronic Stability Control.